Begging to be made fun of, a fool is actually a traditional English dessert worthy of whipping up for your very wise mother. This vegan strawberry fool is a dairy-free spin on the more modern version, which involves folding cooked fruit into whipped cream. To make a strawberry fool sans dairy, good quality coconut milk is a must. I read so many complaints regarding dairy-free desserts made with coconut milk that don’t “set up”, but that’s no fault of the recipe. The cook is using a poor quality ingredient, or the wrong ingredient altogether. Coconut milk is a rich milk made simply from the water and flesh of coconuts. It’s extremely creamy, available in cans or little aseptic packages (like my favorite brand shown below) and sometimes sold with milk alternatives, but more often sold in the Asian section of grocers. It should not be mistaken with coconut milk beverage, which is sold in large cartons, more akin to 2% milk, and definitely will not “set up” in recipes. 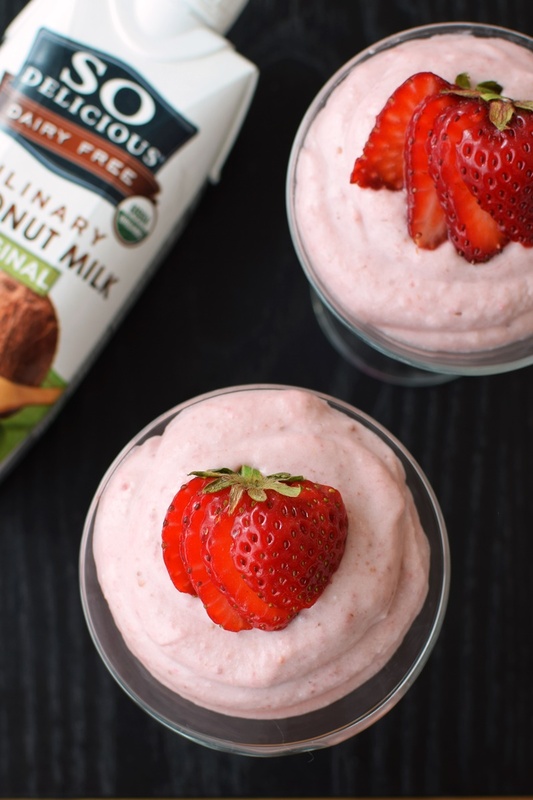 For recipes like this vegan strawberry fool, you want a coconut milk with very minimal ingredients that will separate and form a very thick cream when chilled. I use So Delicious Original Culinary Coconut Milk (don’t let the fancy title or unique packaging confuse you – this is straight up, high-quality coconut milk, like the cans, but better). It contains just 3 ingredients (water, organic coconut cream and organic guar gum), and when chilled, it’s almost ALL thick cream. In fact, I only need 1 little package to get the entire 1 cup of coconut cream called for in my dairy-free strawberry fool recipe. Any leftover coconut milk that didn’t thicken can be tossed into smoothies, used in baking, or thinned for a quick coconut milk beverage to used on cereal or oatmeal. 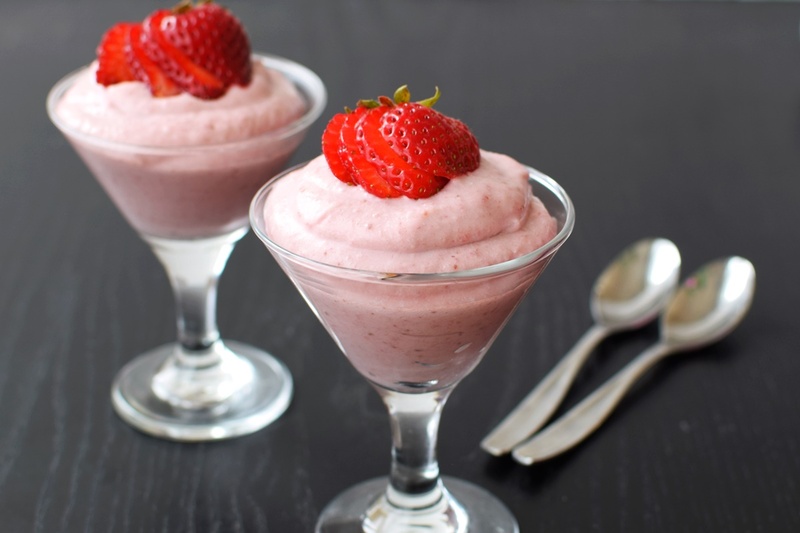 Be sure to use sweet, ripe strawberries for optimal flavor when making this strawberry fool dessert. If not sweet enough, you can up the sugar to taste. In this recipe, the lemon helps to brighten the overall flavor, the chia seed thickens the fruit just a little more once cooked, and the vanilla helps to keep the coconut flavor from overpowering the fresh fruit. Please note that since the vanilla is added to the fresh coconut cream, I prefer to use pure organic vanilla flavoring, rather than extract, since it’s alcohol-free. The flavor just works better in my opinion, but extract can be used. For the smoothest results, I do recommend blending the coconut cream before whipping (I typically skip this step, as we find it creamy enough! ), and straining the seeds from the strawberry puree. For a paleo strawberry fool, swap in your favorite paleo-friendly sweetener, such as honey. Please note that the prep time does not include chilling. Plan ahead as you will want to chill full fat coconut milk in advance. Place the strawberries, sugar and lemon juice in your blender and puree until smooth. Press the strawberry mixture through a fine mesh sieve into a pot to remove most of the seeds. Bring the mixture to a boil over medium heat, reduce the heat to medium-low, and cook, stirring occasionally, for about 10 minutes. Remove from the heat and whisk in the ground chia seed. Let cool completely. Can be made ahead and refrigerated. Place the coconut cream and vanilla in a mixing bowl (optionally chilled) and beat with a hand mixer on low until relatively smooth, about 1 minute. Fold in the cooled strawberry mixture. Spoon into serving dishes and chill until ready to serve. Best if allowed to chill for an hour or more. Can be made ahead. Optionally garnish or layer with fresh chopped or sliced strawberries. Coconut Cream: Chill full-fat coconut milk for several hours or overnight; I use 1 package of So Delicious Original Culinary Coconut Milk (see post above). 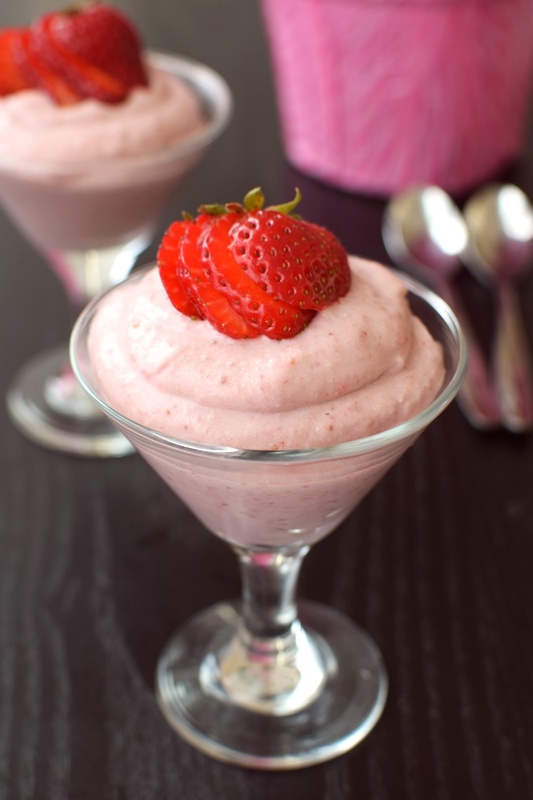 Scoop the very thick cream only and use in this strawberry fool recipe. The link does t work & when I go to their web site it’s not listed under products. What’s a other option? I just had another reader say that they contacted them, and it is temporarily (hopefully!) pulled due to supplier issues. It is essentially good-quality full fat coconut milk. You can chill any full-fat coconut milk or coconut cream and skim the very thick layer from the top to use in this recipe. 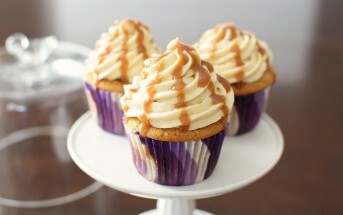 A good quality can will yield anywhere from 1/2 cup to 1 cup of coconut cream when chilled. Possibly just using coconut cream. I think Trader Joe’s carries it in a can and you can get it in a box too at Whole Foods or other health food stores. 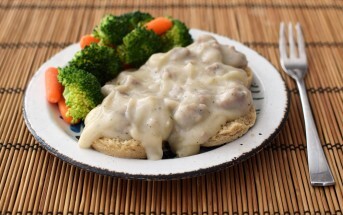 Yes, TJ’s coconut cream works great in recipes like this, too! I haven’t tested other brands of coconut cream yet. Do you have any suggestion for a substitute for the lemon juice (I have a citric acid allergy) or is it important in this recipe? The lemon gives the flavor more pop, but a pinch of salt may work in its place. So pretty and easy too! This sounds delicious! Seriously perfect for spring and Mother’s Day this weekend! 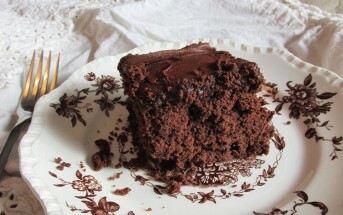 Simple, plus delish, plus no bake? DONE! I love that culinary milk! I have never had a fool (that I know of) but they sound fantastic! This is perfect for my summer vibes! Welcome spring, count me in! 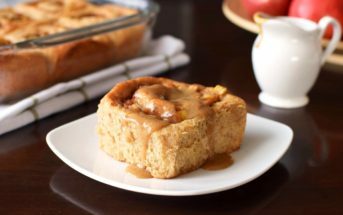 Love that you used chia seeds to thicken it a little. This sounds like a great dessert. I love So Delicious products. This, as always, looks amazing! I love anything strawberry flavored and I bet the coconut milk is a nice addition. Aw, thank you Julie! It is a different twist! Don’t you love the name “strawberry fool?” Makes me smile just saying it. And this version looks so refreshing that I could almost reach through the screen. 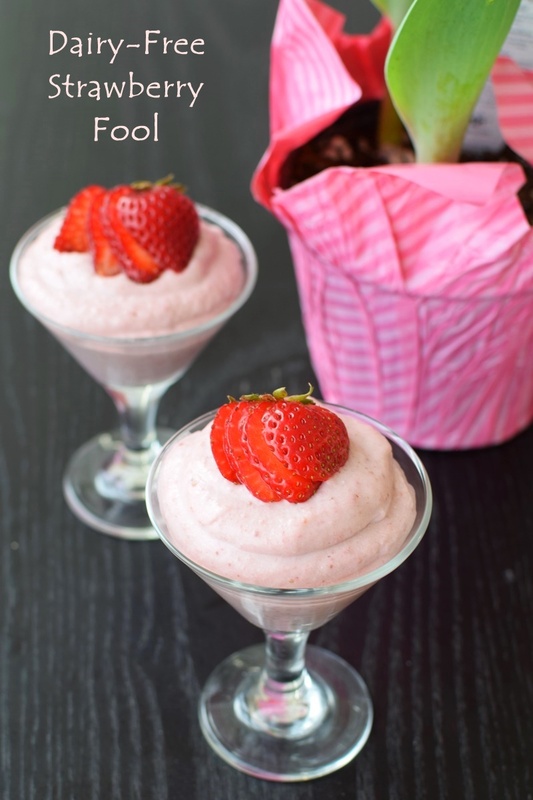 I’ve made delicious non-dairy chocolate mousse with coconut milk, so why not strawberry fool? We think it does – thank you Taylor! You must Sonali! It creates the thickest cream of any coconut milk I’ve found and is void of all the preservatives. Oh, yum! This is my kind of dessert. Can’t wait to give it a try! I haven’t seen the So Delicious Coconut Milk – I will have to look for it. You will love it Wendy – I definitely recommend being on the look out!